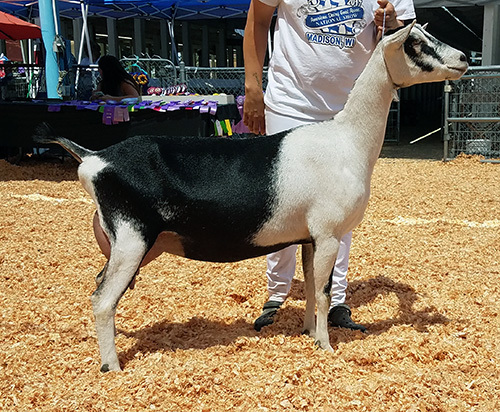 Heiress is a tall, level and uphill yearling milker with a smoothly attached mammary system exhibiting great medial strength, capacity, and high and wide rear attachments. 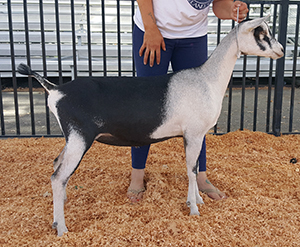 She had a very successful show season, including placing second to Obie at the California State Fair and second to Haiku at the Sonoma County Fair in very competitive classes. We also really like her daughter, Jackie O, one of our top kids in 2017.